How to book the best Cozumel Jeep Excursion online? 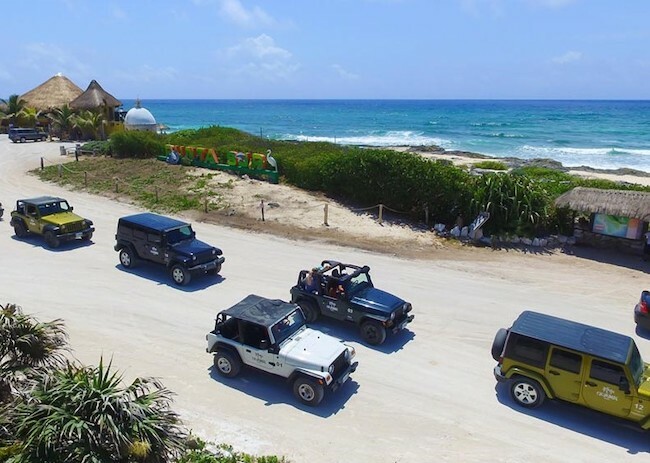 Maximize your trip to Cozumel with a tour in a Jeep. Cozumel is a Mexican island known for many things, like its beautiful beaches. Take your time to visit each iconic place from this earthly paradise. From blue beaches, stunning reefs, to tourist stores, in a Jeep excursion you have everything covered. You don't have to worry about planning your next discovering activity or spend time searching what the best places to know on the island are. What makes us the best Jeep Excursion company in Cozumel? There is more than one tour provider. That is for sure. But, if you want to get the most from this kind of experience, you should use the best tour. According to our past clients, My Jeep Tour is the best jeep tour around the island. Also, it is an official tour. It means the journey is not only focused on discovering Cozumel but also doing fun activities that you will remember with your companions. There is a lot to do on this exotic island. Beside the discovering activities, we will take you to an unforgettable experience. You will also enjoy a snorkel tour in the second largest reef system on our planet; something you will gladly talk about with friends and family over the years. If you want it too, we can customize your tour to suit your interests and schedule. When is the best time to take a Jeep Excursion in Cozumel Mexico? The truth is that in Cozumel it is always a good time to arrive. Whether in cold months such as November or December, or hot months, such as May, June, and July. However, the climate on the island is very stable. So any time is right to come. It will always depend on your calendar and the activities you plan to do. It is advisable to book your trips weeks or months before the date. Cozumel is a place that receives thousands of tourists every day. Booking your Jeep Excursion will not be a problem if you do it in advance. 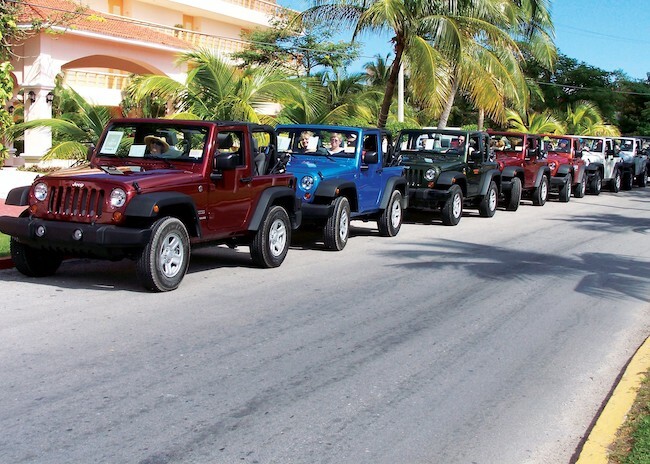 Why is the Jeep Excursion a must-do when visiting Cozumel Island? My Jeep Tours are the perfect tours for those who want to unveil the natural beauties of Cozumel Island and its history. The tours like the tequila Jeep tour use new Jeep Wrangler vehicles, and come with an experienced guide who knows everything there is need to know. When in Cozumel, take our Jeep Excursion, drink a cold beer or some water, and relax, because this is a journey you’ll never forget.